HORSE DIARIES: BELL'S STAR (my review), to Book Club Exchange. Just to recap, Book Club Exchange is a new (and hopefully) regular feature on Booking Mama which highlights anything and everything book club-related! 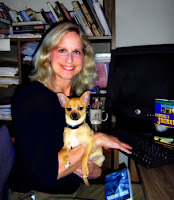 Ms. Hart has written many middle grade fiction and historical fiction books (including an American Girl mystery book), so I was very excited when she wanted to write something about promoting reading and books for kids! I hope you'll enjoy her guest post as much as I did -- I know I got a few ideas! Hi Julie! Thank you for inviting me to blog on your Book Club Exchange. My blog post may be somewhat different than what your readers are used to but perhaps it will elicit some reactions. I am an author. I love books. I love writing and reading books of all genres and on all topics. Most of my day is spent reading, researching, writing, and reading some more. It is an addictive pleasure—and, lucky me, my job. But I am also a teacher. I teach students at the pre-college level who do not love writing and reading unless it is on Facebook or written in text message-speak. That means part of my day is spent convincing teens that reading is knowledge and power and fun!!! And yes, I use italics and all those explanation points though my enthusiasm doesn’t sway them. -Volunteer to start a book group during club days. There’s French Club and Debate Club, why not Book Club? -Get involved with the PTA and spearhead author visits. If the sports club can raise $10,000 for new uniforms, book lovers should be able to raise enough to snare an interesting author. -Buddy up to an English teacher who loves book. Volunteer to meet with the most reluctant guy or girl readers in the class once a week for fun reading. -Snag the ‘most’ popular coach or teacher to help you start a club that attracts the ‘most’ reluctant students. -Buy used books to donate to a class as giveaways or to the library as additions to the collection. -Donate bean bag chairs or giant pillows to create a fun place to relax and read. -Brainstorm with real kids on ways to make reading cool in their school. Then convince the principal or media specialist or an English teacher to try implementing at least ‘one’ of them. Book lovers might be in the minority, but remember, we have knowledge and power from all that reading. So let’s spread our love and enthusiasm! Spy on the Home Front: A Molly Mystery. Alison Hart has been writing since she was seven years old when she wrote, illustrated and self-published The Wild Dog. (A book she still shows young readers to prove that it's never too early to be an author.) 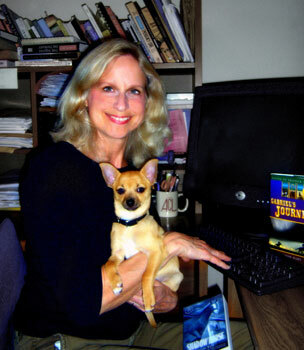 Today she is an adjunct college instructor teaching reading and writing as well as the author of over twenty mysteries and historical suspense novels for young readers. "I honed my craft writing Nancy Drew mysteries and quickly developed a love of strong characters who are thrown into suspenseful situations; in other words, I love writing books that keep young readers glued to the pages." Research is another passion, and old journals, letters and memoirs are her favorites, often sparking ideas for future books. "When I read a diary written long ago, I feel an incredible connection to the past, a connection that I hope to bring to my own books. Well-researched historical fiction should bring to life the people, events and struggles of the past and make them relevant and real for today's young readers." I am so grateful to Ms. Hart for her guest post and for providing some book club suggestions for the younger set. If you are interested in participating in a future Book Club Exchange, please contact me at bookingmama(at)gmail(dot)com. These are all great ideas! Thanks for sharing them! This is an excellent post, but some of those statistics are scary! I can't imagine a life without books and really feel sorry for those who have never really found the joy in reading. The statistics are so sad! I cannot imagine not reading a book! I am known as the Aunt who always gives books as gifts. I've seen these statistics on someone's blog already today! This is sad. My husband doesn't read and it makes me sad, nevermind all those kids. These are some great ideas. I'll have to check this out at the local schools after the holidays. What an interesting post! I know if there had been a Book Club when I was in school, I would have joined up right away. I bet lots of shy kids would go for that sort of club.